The world is a mess. The status, as Dr. Horrible would say, is not quo. But there are still kittens. We are grateful for kittens. There are still kittens and cats, yes. I'm grateful for my family and my cat, and Kristen Bell and George Takei, who were trying to talk everyone on Twitter off the ledge last night. I'm grateful for Jensen and Jared, and our little television community here. Hang in, everyone. Maybe he isn't as horrible as his every word and deed makes him appear. As much as I love the Walking Dead, I didn't actually want a zombie apocalypse. Maybe I should have been more specific. Thanks I needed that. 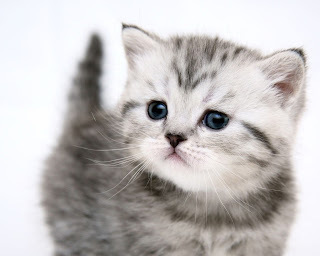 Kittens are precious! Look at the bright side: you really outdid UK! Something else that might also help you. To be honest, it is quite unsurprising the majority did not like being demenead as racists, sexists, homophobics, xenophobics, and 1000 other isms and phobias, especially when they have suffering of their own to deal with. Anon, I get your point and I kind of agree with it. However, it was not the majority. Hillary won the popular vote. I'm Brazilian, living in Brazil, and I’d like to share some words of hope with you guys. There is a fear here among the progressive part of the population that Trump's victory might bust the already growing popularity of a Trump-like presidency candidate, who is long known for his conservative, sexist, homophobic opinions. In fact, this very candidate and his supporters are in heaven with Trump’s winning. There is a lot of fear right now, what with Brexit and Trump. Here in Brazil we have also had some defeats that could set the clock backwards and the prospect isn’t the best. But we cannot succumb to numbness and despair. As far as laws and social programs go, yes, progress can be lost or held back. But can the change in mentality be lost as well? Only if we don’t put up a fight. And of course we will. The fact that a younger demographic chose Hillary is important and should be a sign that all is not lost. I say this as a gay man, of course I don’t want a Trump-like candidate to win in Brazil. But he could, and if he does, we will put up a fight that wasn’t possible, say, twenty years ago. Why? Because progress has been made. So, you know, like our little slayer once said, there is only one thing on this earth more powerful than evil, and that’s us. And we need to stay strong and make sure the world won’t stop moving forward. Hope, love and respect will win. Lamounier, the comment you are responding to is "concern trolling." I've seen nearly-identical comments on at least two other sites in the past day, all arguing that Trump supporters are "vulnerable" and containing a similar list of "isms." I am closing the comments on this thread so that the threats don't go beyond emotional attacks and mindgames.